For a few years now, everyone&apos;s been talking about Kylie Jenner&apos;s lip injections (along with her other suspected cosmetic interventions). Meanwhile, her older sister Kendall—the face of Estée Lauder and the leading figure in the new generation of supermodels—has long been admired as the "natural" one. But is Kendall really all that natural? Kendall Jenner at the 2009 ESPY Awards. The first pic I have is actually even older than the "Before"; a shot of Kendall at one of her first red carpet events, age 13. (Posing like a pro already, I see.) I probably wouldn&apos;t have recognized her thanks to the bare face and unstyled hair—but also the nose. It sure doesn&apos;t match the one she has today. Kendall Jenner at Variety&apos;s 2010 Power of Youth event. In 2010, Kendall started wearing makeup and styling her hair, and already looks far more grown-up than her 14 years. What jumps out at me most is her smile—the fact that her upper lip is noticeably thin. And here we thought Kylie was the only one who had it! Nope, it appears to be a family trait. Kendall Jenner at the Abbey Dawn Spring 2012 show in 2011. I did a double take upon glimpsing this photo of Kendall from 2011. It IS her, but it really doesn&apos;t look like her. 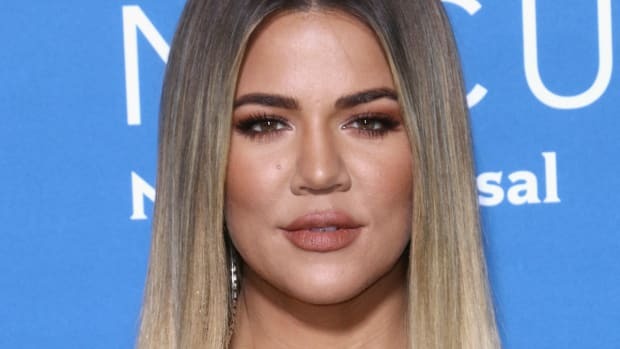 Much of that is because of her original, wider nose—although I suspect she may have started lip injections by this time, because her upper lip is looking suddenly fuller. Kendall Jenner at the 2011 launch of Unbreakable perfume. I&apos;m not sure if Kendall had rhinoplasty; I think it&apos;s possible that her nose looks slimmer here just because she is smiling. The main reason I wanted to share this image is to show you that celebs DO struggle with significant acne breakouts. They&apos;re not just born with clear skin! At age 15, this could have been normal teenage acne that went away as she matured—or (more likely) Kendall may have gone on the pill or spironolactone to stay clear. Her modelling career would depend on it. Kendall Jenner at the 2012 KIIS FM Jingle Ball. A year later, and Kendall has flawless, peaches and cream skin. Topicals are not going get you results like this; I am almost certain she would have gone on medication. (Plus, she probably got laser treatments for the post-acne pigmentation marks.) Regardless, she is glowing! This photo is before she got deep into the Kardashian-style heavy makeup, so it&apos;s my favourite of the bunch. Kendall Jenner at the 2013 grand opening of Sugar Factory American Brasserie. Happily, Kendall was still rocking the natural makeup in 2013, when she was 17 years old. Her skin looks great, and I think by now, her nose was whittled down. Compared to our 2012 shot, her upper lip isn&apos;t as full, but keep in mind that injectable filler is not permanent and will start to deflate within a few months. Kendall Jenner at the 2014 MuchMusic Video Awards. I think 2014 was Kendall&apos;s breakout year. Suddenly, she was everywhere—and fully Kardashian-ified. You can easily see Kim&apos;s influence with the lip injections, contouring, lashes and hair. Kendall Jenner at the 2015 launch of Modern Muse perfume. It&apos;s hard to believe Kendall was only 19 here. I mean, I kind of love the makeup (peachy lipstick and shimmering gold shadow). But her plumped-up lips definitely make her look older than her years. It&apos;s also evident from this photo that her nose is much narrower from bridge to tip. Kendall Jenner at the 2016 Kendall + Kylie luncheon at Nordstrom. Our last pic is from just two months ago, and Kendall is 20. I know this is very "on trend" for the social media-inspired look that&apos;s in style now—but I just can&apos;t. I think she&apos;s officially gone too far with the lip injections; to me, they appear very obviously fake. 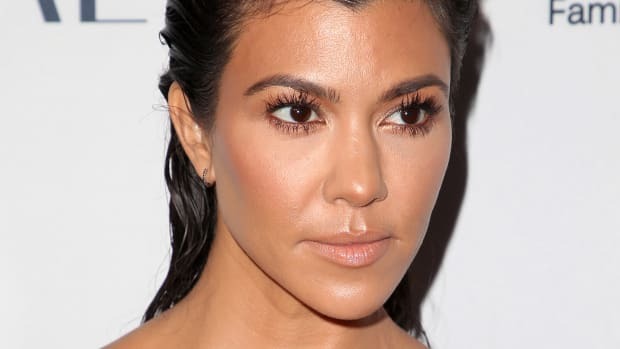 The other thing I can&apos;t figure out is whether something changed in her eye area, because her brows seem much higher up when you look side-by-side versus 2010. Kendall Jenner at the 2017 anniversary party for What Goes Around Comes Around. And now Kendall&apos;s lips are even puffier; they must be freshly injected here. (The shape reminds me of Kim&apos;s lips, so I&apos;m assuming they all go to the same doctor!) She&apos;s wearing more foundation, probably because she&apos;s dealing with acne around her jawline. Now, Kendall is 22, and has chopped her hair to mid-length. If you look closely, you&apos;ll see that it&apos;s also hiding an acne outbreak along her lower cheeks and jaw. Doesn&apos;t that make her more relatable? Her lips still look enhanced, although not as swollen as in the previous pic. Kendall Jenner in 2010 (left) and in 2016 (right). So is Kendall the natural beauty of the family? I do think she is beautiful, but there&apos;s enough evidence here to prove that beauty got a little help along the way. As you know, nose jobs are "NBD" (no big deal) for just about every celebrity, so I&apos;m not at all surprised that Kendall had one. Plastic surgeon Miles Barry told the Daily Mail: "The bridge of her nose... could certainly have been smoothed surgically. The tip could well be smaller and rather more refined, again pointing to possible surgery. An alternative could be that she has had the much less invasive procedure of filler injected and this has smoothed out the bridge." 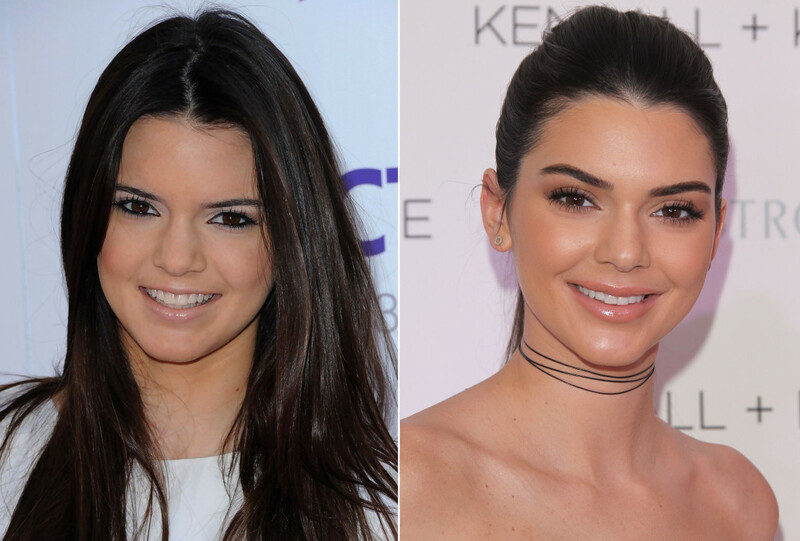 How do you feel about Kendall&apos;s beauty evolution?